Working with Children on the Autism Spectrum has been one of our greatest joys. Watching the children thrive and make progress is so rewarding! Many of the things that we do while playing, working or interacting with kids are not activities but are simply ways to encourage and facilitate their success and progress. 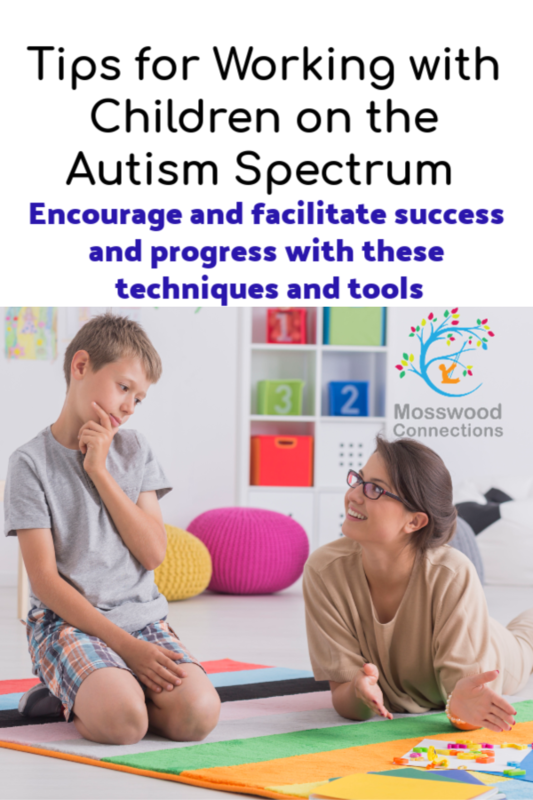 We would like to share some of the techniques and tools that we use when working with children on the autism spectrum and if you have some that we have forgotten or have not thought of yet please share them with us. Your face is one of your best tools. Exaggerate your facial expressions; look happy and excited. Adjust your body position so that your face is on the same level as the child’s face. Hold objects in front of your face to encourage eye contact. Your voice is another tool. Vary tone and volume to get their attention. Sometimes a whisper is more powerful than a shout. Be careful to avoid touching the child unexpectedly. For many children, particularly those with sensory processing sensitivities, unexpected touch can be jarring and upsetting. Give them a warning before you touch them. Repeat your request. Sometimes children aren’t listening and sometimes they may be having difficulty processing auditory information. If they don’t respond the first time you make a request, ask again. Give the child time to respond. Some children take longer to process information so just wait a moment to see if they will respond. PRAISE! PRAISE! PRAISE! When a child does something new or something that is difficult for them, consider that they just gave you the best gift that you have ever received and show them the appreciation that they deserve. Be sensitive to the child’s sensory needs. 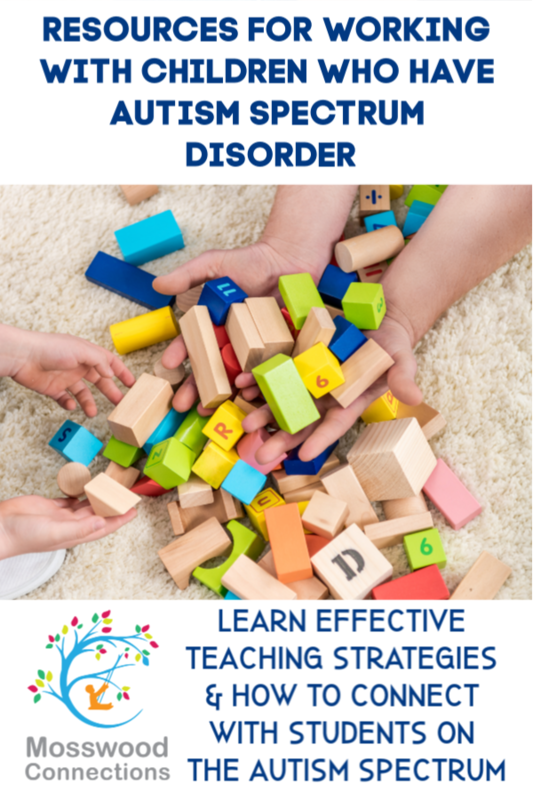 Some children have tactile defensiveness, others may be extremely sound sensitive. Keep their sensory sensitivities in mind when creating activities. A child who is tactile defensive will probably not enjoy a chase and tickle game. Identify the child’s state of arousal. Some children may seem lethargic. Those children would benefit from a more active program. For the child who has a hard time calming down, try soothing sensory activities like sensory bins or putty. Incorporate sensory activities while teaching new skills. Encourage speech by keeping the language simple. Ask the child to say the target word before doing the action. For example, if you want the child to say “ball” you would ask the child to say the word each time you throw the ball to them. Focus on one concept or word. For example, if you are working on colors, present a variety of activities involving colors and repeatedly request color words. Remember to offer praise whenever a child gives you the gift of responding to your request. Combine sensory with sounds. You can draw the letter “A” in shaving cream while you model making the “a” sound. To develop hand strength use Therapy Putty with various resistance levels. Give your child the putty to play with while they are waiting for something like a meal. Buy Clothespins, scatter them around in places where your child will need to clip or unclip them. This is also a sensory activity. Stickers are a great way to encourage kids to use their fingertips. For children who are beginning to draw put a large piece of paper on the wall. Give them broken crayons and chalk to use. This forces their fingers into a tripod grip. If your child curls their wrist while writing or drawing have them write and draw on a Slant Board. You can use a large binder as a slant board. To help your child control their coloring and stay in the lines you can outline the picture with glue or Wikki Stix. When doing handwriting practice kids seem to enjoy Color Changing Markers . The adult writes the words or sentences and then the child traces over with the color changing marker. 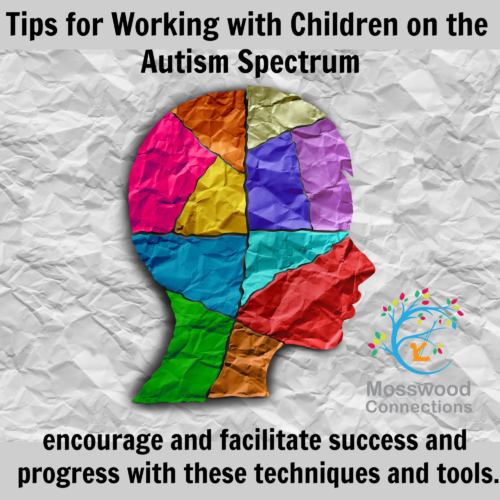 These are some of our Tips for Working with Children with Autism Spectrum Disorder. Are there any tips that you think we should add?